We have made a lectern simple and elegant. 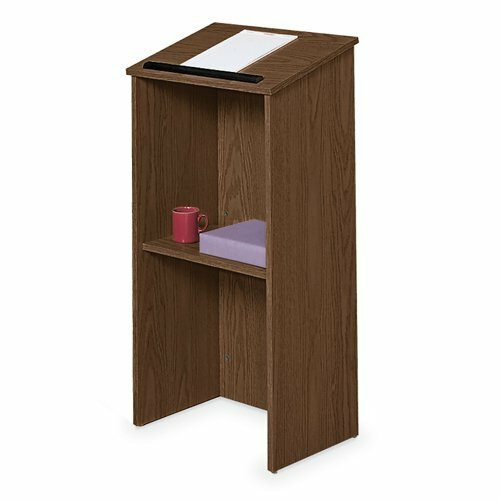 This attractive and durable this full floor lectern is made of 3/4" solid MDF core covered with a stain and scratch resistant surface. Our lectern offers a full size reading surface with a built in hard rubber book stopper and a high clearance full size built in shelf. Measures 23" width by 46-1/2" height by 16" depth. Mahogany color.